Expedition Yacht Sales is born! Welcome to Expedition Yacht Sales, LLC. The new brokerage of Steve & Cindy Scruggs. With a combined 40-years in the industry it was time to hang out our own shingle. 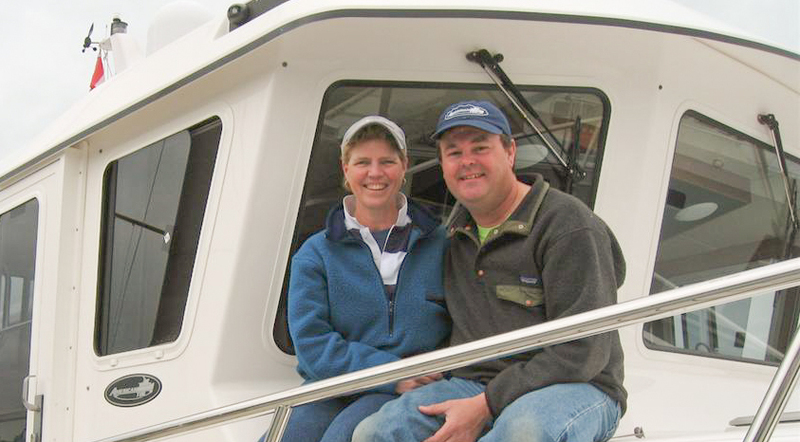 We will serve the greater Puget Sound area and are always available to meet on your boat or the yacht you wish to see. Cindy & I are excited to be working together for the first time and able to offer the highest level of service and integrity. Specializing in high quality cruising tugs, trawlers and expedition grade sailboats. These are the boats that are ideally suited to cruising the waters of our Salish Sea and inside passage to Alaska. Please contact us to bring your boat to market or arrange to see any of the quality boats that we have available. We stand ready to help you achieve the happiest day of your life.